At the Titanic Museum Attraction, students can feel just how cold the water was and find out how long they can keep their hands in it. For students to understand why the Titanic sank as quickly as it did, they need to understand the relationship between depth and pressure. Under high pressure, water pushes through an opening faster. To demonstrate this, have students cut four holes in a quart-size milk carton. Put tape over all the holes and fill the container with water. Place the container in a large sink and remove the top piece of tape. Have them mark the furthest distance the water stream reaches. Continue this with the second, third and fourth holes. Write a conclusion about why the water from the lowest (or deepest) hole went the greatest distance. 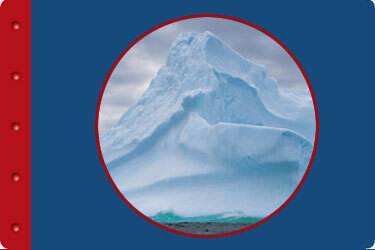 Explain how this experiment relates to Titanic. Students should conclude that the deeper the water, the higher the pressure, causing water to push faster through any openings and rapidly flood the ship. 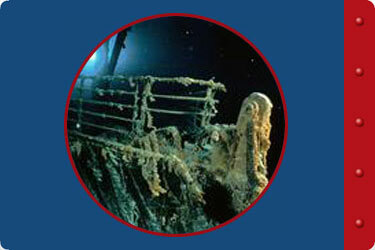 At the Titanic Museum Attraction, students will see Titanic as it looks today at the bottom of the North Atlantic. They’ll also see a 26-foot model of her bow, built for and used in Jim Cameron’s 1997 feature film Titanic.